Clara was part of a team for years. 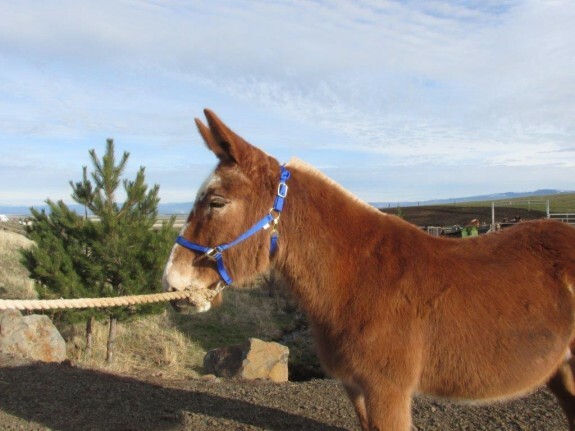 She has been used for wagon trail rides across Washington, and also for winter wagon rides for kids. She is super sweat, gentle and willing. 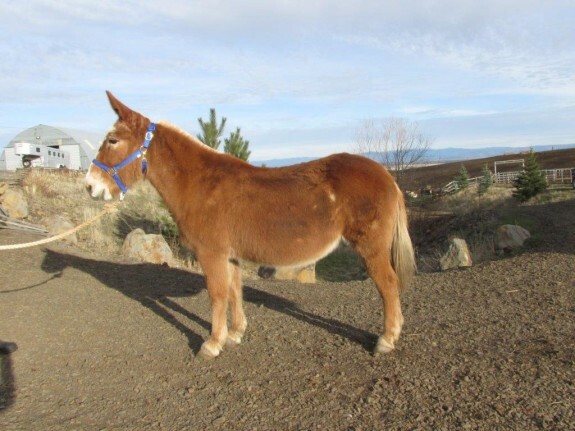 Her partner died and she is now a single mule. She is looking for a family, and we would love to find a good match. 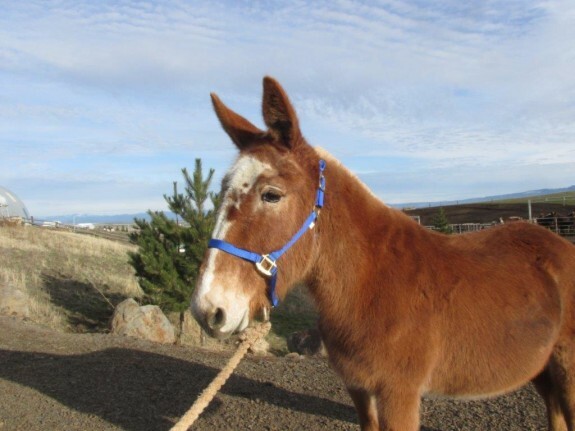 This mule is in great shape and will do just about anything you ask of her. She drives and packs perfect, we have rode her here and she does just fine, yet we are not sure how much actual riding she has done.